Size: 17"X17"X6". 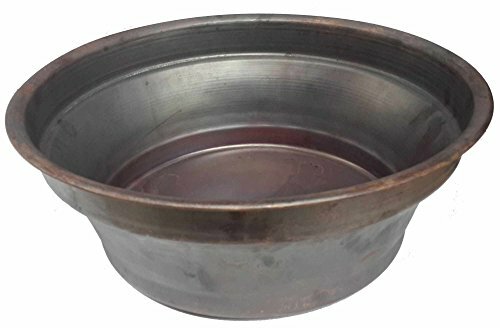 The bowl is hand made by Egyptian artists from 1 pc copper sheet. Easy Handling. Due to the nature of handcrafting, the bowl might has unintentional few variations which add value, interest and characteristics to the bowls. Every bowl is one of a kind. Soaking feet in a Copper bowl can help to achieve a healthier immune system and improve blood circulation. Copper is anti Bacteria, Anti Microbes, Anti Contamination and Anti Virus. Pedicure Benefits: relax body, discover fungal infections, corns, ingrown nails or bunions, preserve skin moisture and exfoliation dead skin cells removal.